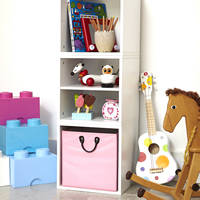 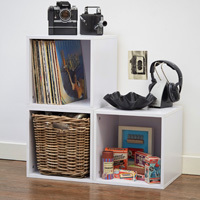 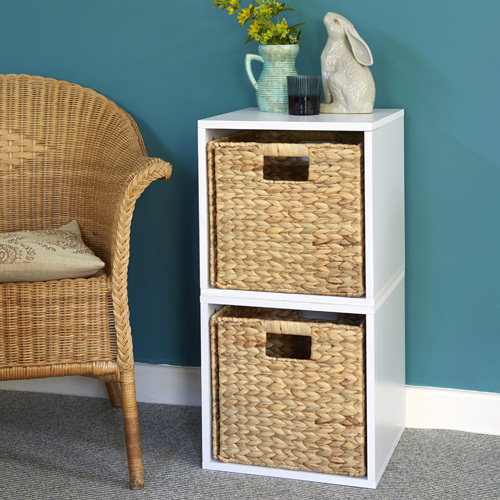 Our set of 2 white wood modular storage cubes make a great addition to any bedroom or living room. 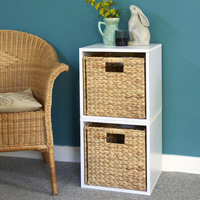 This unit would work perfectly as a bed side table to store books etc.. 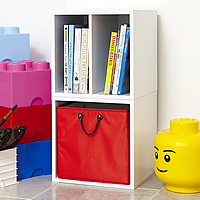 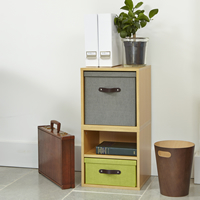 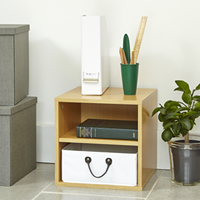 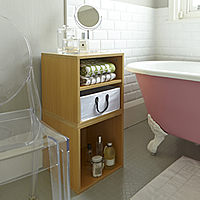 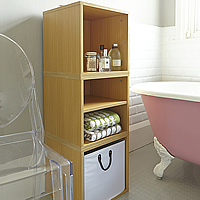 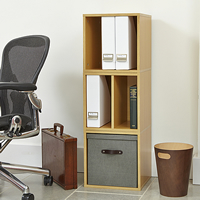 The cubes can be used either side by side or on top of each other as shown above to provide quick and easy storage. 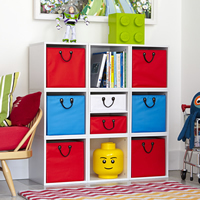 Once you have decided on your layout secure the cubes to each other with the fixings provided. 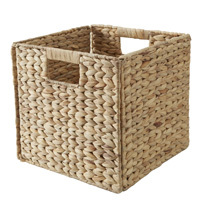 Each basket has an integrated handle and is made from a high quality, water hyacinth.